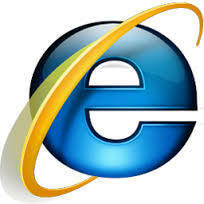 Microsoft ends support for IE8, IE9, IE10, in Windows 8: Today, Microsoft to end support for Internet Explorer 8,9 and 10. Microsoft will also end support for Windows 8. To end support, Now what it means ? No, it doesn’t mean that from now on wards, you can’t run your Windows 8. It simply means that Microsoft will now not give security updates and updates for fixing bugs. So, in short Microsoft will now concentrate on Windows 10 OS and by ending support for Windows 8, Microsoft suggests Windows 8 users to upgrade their OS to latest Windows 10. Now about Internet Explorer. If you are using Internet Explorer 8,9 or 10, you will need to update that to Internet Explorer 11 or else if you have Windows 10, you will have to shift to the next alternative i.e. Microsoft Edge. Microsoft Edge is all new browser for Windows 10 which is replacement of Internet Explorer. It carries simple design, fast internet browsing, Reading View and Microsoft’s Cortana.